« ..: Mahavilachchiya Reservoir :..
.:: Pop-up Music In Srilanka ::. End of 60th decade and in 70th decade was an important period for the pop-up music in the world because the golden period of pop-up music was started in that duration. Elvis Prisly was called as the king of pop-up music. At the same time Clarence Wijewardane who skilled in that time duration was the king of Sri Lankan pop-up music. He was born in 3rd August 1943 in Haputhale as the elder of his family. He who started his music life in 21st was a Guitar player, musician and a director. He worked like that with his friends by constituting a music group name of Moonstone. While he didn’t sing songs in that time duration, he confronted only for harmony. While he was finding a songstress for the moonstone group, he met Anesly Malewana. Mr.Wijaya Koreya who was the program, executive of radio gave them a chance to publish their music with wireless. He did it after recognizing their skills in 1966. In 1966 they could create some new songs which were recorded in radio station. Some of them are “Mango Nenda” , “Ruwan puraya” , “Seetha ude” and “Menike”. They could broadcast their songs in wireless at 9.00 pm – 9.15pm in Saturday Star Program. The songs which were famous could make those people who were used to hear only English songs hear Sinhala Songs. After that he could make changes in Sinhala Music by Introducing electric guitars for the Sri Lankan music. Clarence who researched in music built a new foundation by inserting peradiga & batahira music . While Ravi Shankar was inserted to the ‘Beatles’ music group in England as a Sitar player, Upali Abesekara was inserted to the moonstone group as a sitar player to make changes in Sinhala pop-up music of Sri Lanka . After that first E.P disk ‘Mango Nenda’ was released in 1968 under JVPC007 Philips label . Mango Nenda , Ruwan Puraya , Seethe Udaya etc were in that album.While 5000 of copies were sold , the second release of that group was released November in the same year. It was named ’More Hits by the Moonstones ‘with the first label of Sooriya (CHB 001). “Kalu mama” , “Rosa male” , “Ramani” and “Goyam kapanawa” songs were there. ‘Mango Nenda’ song which was broadcasted in radio in ‘Hit Parade’ program selected as the best sinhala song .A new songstress joined the moonstone group in 1969 . That is Indrani Perera . 1969 was an important year for the moonstone group because ‘Dilhani’which was the best sales in Sri Lanka released in that year at the same time an immortal man was born in moonstone group. He who served as a music director is Mr. Clarence Wijewardane . ‘Dileepa Podi Puthu’ song what is the first and last song which he sang with moonstone music group . While it was a poem what Abesekara wrote about his son to the Silumina News Paper, with his permissions Clarence Wijewardane converted it to a song . After that Clarence who left moonstone group started a new group of The Golden chimes with Shanaka Perera.The first song disk of golden chimes was released in January 1971.Kimada nawe , “Mage pelpathe” , “Sihin sinawai” and “Samanalayo” songs were in that disk . As the main songstress Lankika Perera joined golden chimes group .After that as the English singer Anil Bharathi joined there but guidance of Clarence they entered to sing sinhala songs. Their second disc was released in June 1971 in Philips label. “Malai velai” , “Sihil nuwan” , “Surangana vesvala” and “Mage viyowen” etc songs were there and also their third disc was released in August 1972.Iru dina , Sandai tharui , Muhudu rella and Thakkita tharikita etc songs which were released in Sooriya label were there.Clarance got a chance to direct music in the film of Sikuruliya which was directed by Mr.H.D.Premarathna. It was supplied music by Golden Chimes group. At the first time Clarence designed two songs and supplied music for Mr. H.R Jothipala in the same period. It is “Mal pibidena eka wasantha samayaka and Hiruta muvawela” . Clarance who left Golden Chimes group in 1972 started a new group with Anesly in 1973.It’s name was “The Super Golden Chimes”. First disc of this group was released in Sooriya label. “Kanda surinduni” , “Seetha sulanga” , “Pena bubulai” and “Sathuta senasuma” , songs were there. That period was the golden period of Clarence’s music life. He could design songs for others. He was able to make new signers for the music field and design new sons for famous characters in the music field. 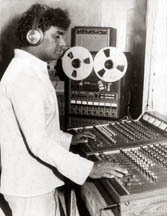 While music was directed in “Sikuruliya” , “Mangala” , “Apeksha” , “Chathumadura” , “Chalitharangali” and “Chandi Shama” by Clarence, He joined “Sihasuna” , “Kolamba Sanniya” , “Janaka saha Manju” and “Siuranga Sena” etc films by singing. Clarence was able to make changes in Srilankan lele drama. He got an opportunity to direct music in “Suseema” and “Nidikumba mal” etc tele drama. “Suseema” can be introduced as the first musical lele drama. At the same time the drama of “Nidikumba mal” which theme song was sung by Mr.Amaradewa, theme song was designed by Clarence Wijewardane. That is the one and only song designed and applied music by a man. At last he participated for a Group in1982 .That is ‘Madara’ Music group. In that group… Clarence Wijewardane – Leader Rukantha Gunathilaka – Key board Mariyasel Gunathilake – songstress/Key board Raju Bandara – Lead guitar Kenet Silva – Bass guitar Ajantha Dampaha Gamage – Drums Prabhath Bandara – Lead guirar Group music could be referred into a new way in 70th decade, it was done by Clarence. He has done many designs for other singers. At the same time those everything was famous. While he has done designs for over 115 singers, and participated for over 1000 songs. The least ability of the world music composition ,direction and singing. A little force can do it in the world. Clarence is the first one of them in Sri Lanka. None could break that record .After 1991 he was sick very often. After that he decided to release his all albums.Collecting his all creations he released 16 albums. Any one can hear his songs and those are attracted. That is the special of his songs. For the first time he created sinhala songs by using electric guitar with moonstone music group. “Udarata niliya hedawage” song was created by using a traditional dancing music. When Sri Lanaka got an opportunity to test matches he created a cassette about it. The first songstress music group’s first song was written and applied music. Music was created for Mrs.Rukmani Devi, “Pemrajadahane” song. To the first time a song was created in Sri Lanka for the (SAARC) conference. In that moment when “Magul Etha” died he created a song for “Magul Etha”,its “Kandu Sikarin Wata Senkadagalapura”. It was sung by Mr.Ananda Perera leader of “Siha Shakthi” music Group. I really love this song. The Lyrics the music and the design. It’s telling a sad storey in a happy rythm. Why? I saw this really fantastic post today.Your blog post is very cogent and makes a number of good points.